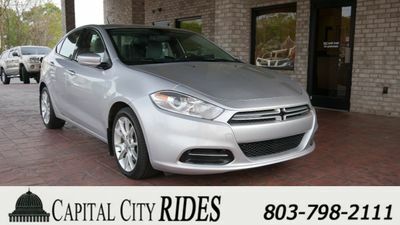 Capital City Rides is a Columbia dealership offering the benefits of both retail sales and dealer in-house financing. As part of the Jim Hudson Automotive Group, Capital City Rides is able to offer quality vehicles and service that exceed the standards of its competitors, while still providing the special financing and hometown familiarity customers may be seeking. If other dealers have failed to meet your expectations then Capital City Rides may be the answer! We have hand-selected vehicles that are suitable for all kinds of credit situations, and each one is inspected for safety, performance, and driving enjoyment. They also come with a 30-day Litmed drive train warranty. Your job and residence history may be all it takes to get the ride that's right for you! Ask your salesperson for further details, and welcome Capital City Rides! Capital City Rides in Columbia, SC proudly serves Irmo / Lexington / Newberry / Chapin / Pelion / Sumter / Blythewood / Aiken / Orangeburg / Batesburg-Leesville / West Columbia / Forest Acres / St. Andrews / Camden / St. Matthews / Eastover / ...and our entire Midlands community!